Allie Kirkland has never been one to take wild risks. But when she's offered a costuming assistant's job on a docudrama in the hills near Moses Lake, she jumps at the chance. She's always dreamed of following in her director-father's footsteps, and the reenactment of the legendary frontier settlement of Wildwood is a first step. The family expectations will have to wait. But in 1861, the real Wildwood held dangerous realities. Town founder Harland Delevan held helpless residents, including young Irish schoolteacher Bonnie Rose, in an iron grip. 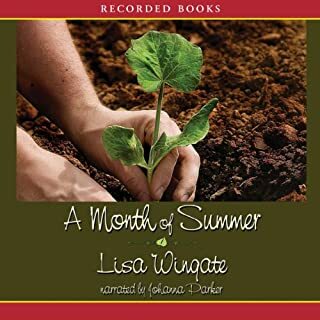 In this compelling tale by Lisa Wingate - award winning author of the national best-seller Lone Star Café - the associate producer of TV's hottest show fears Amber Amberson's tiny Texas hometown already knows its Amber who is an American Megastar finalist. But after several hilarious culture clashes, the Hollywood pro enlists the help of the quirky townsfolk when the sweet and naïve Amber goes missing. Elizabeth Gallagher has been balancing on the ragged edge for a while now. Then, a rough case on the boards of her 911-operator job collides with a family conflict at home, and Elizabeth finds herself finally coming apart at the seams. A four-state road trip - trapped in a car with her mother - is the last thing she needs. It’s time to convince Aunt Sandy to abandon her little seaside store on North Carolina’s Outer Banks and return to the family fold in Michigan. When Kate Bowman temporarily moves to her grandmother’s Missouri farm with her husband and baby son, she learns that the lessons that most enrich our lives often come unexpectedly. The family has given Kate the job of convincing Grandma Rose, who’s become increasingly stubborn and forgetful, to move off her beloved land and into a nursing home. But Kate knows such a change would break her grandmother’s heart. 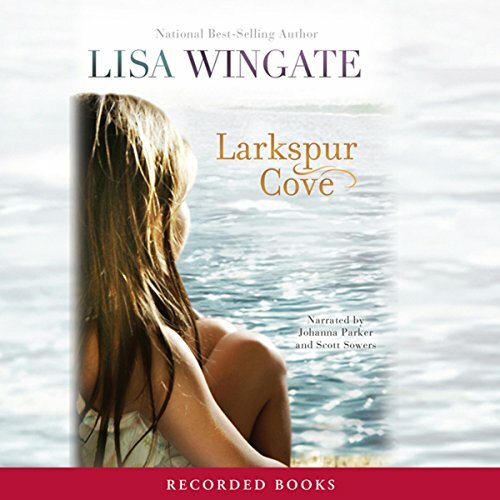 Lisa Wingate has been favorably compared to authors Nicholas Sparks and Richard Paul Evans. In A Month of Summer, Hanna Beth has been caring for her aging husband - who suffers from Alzheimer's - and her developmentally challenged adult son for years on her own. But when she suffers a stroke, estranged stepdaughter Rebecca must take the reins. As she cares for her father and the step-brother she's barely met, Rebecca slowly begins to heal both herself and her family. 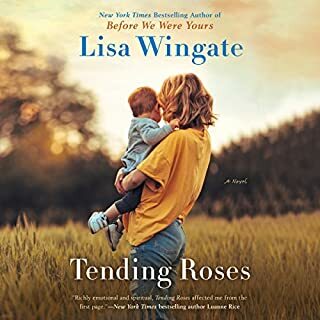 According to USA Today, best-selling author Lisa Wingate “dishes up fun and charm” with her touching romance novels. 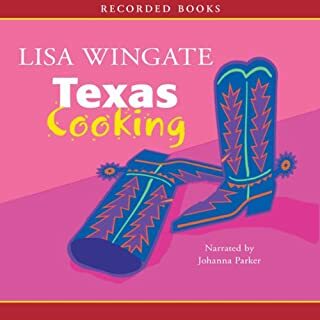 In Texas Cooking, Wingate tells the story of Colleen Collins, a big city reporter who thinks she’s seen and heard it all until she visits the tiny town of San Saline. Listeners from all walks of life will relish this tale of passion, new beginnings, and the comfortsof good food and good conversation. Experience three novellas about the joys and trials of sisterhood. Is there a secret terrible enough that it should never be revealed, not even if it was tearing a family apart? For more than five decades, Emma Bauer has kept one - carefully guarding it with all her strength, and for more than five decades, that choice has haunted her life and also the lives of her daughters and granddaughter. Is it too late for wrongs to be righted? Does Emma even have the strength to let the healing power of truth work in her family? Loved this! Glad it was finally put to Audible! Geesje de Jonge crossed the ocean at age 17 with her parents and a small group of immigrants from the Netherlands to settle in the Michigan wilderness. Fifty years later, in 1897, she's asked to write a memoir of her early experiences as the town celebrates its anniversary. Reluctant at first, she soon uncovers memories and emotions hidden all these years, including the story of her one true love. Annie Marlow has been through the worst. Rocked by tragedy, she heads to the one place that makes her happy: Oceanside in the Pacific Northwest, the destination of many family vacations when Annie was a teenager. 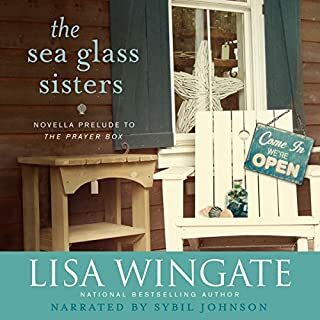 Once there, Annie begins to restore her broken spirit, thanks, in part, to the folks she meets: a local painter, Keaton, whose large frame is equal to his big heart - and who helps Annie fix up her rental cottage by the sea; Mellie, the reclusive, prickly landlord Annie is determined to befriend; and Britt, a teenager with a terrible secret. When Andrea moves to Moses Lake, Texas, with her son, she hopes her job will provide purpose and solace from an ordeal that shattered her life and shook her faith. Mart, the new game warden, hopes to escape the constant reminders of a tragedy he can’t forgive himself for. Soon a girl’s plight offers them both a chance for redemption and draws them closer than they ever anticipated. 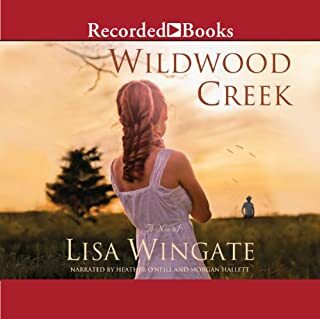 Lisa Wingate has written a wonderful story/romance filled with believable, imperfect characters complete with insecurities and shaken faith. I appreciated that the leads were genuine - they worked, they conflicted with their teen-age children, they had disagreements with relatives, and they cared about their community. The romance was sweet and just taking root when the book ended. I enjoyed the two voices in the audiobook. They did a wonderful job! Loved this book , cant wait to start the next book in the series!! Enjoyed the story line. This is an engaging, sweet, romantic, mystery thriller, that is performed well. The readers sound like the characters in a first person story should. This performance held my attention all the way through. I think most people could relate to the story line I'm so glad I found this author! The story, the language she used, the plot, the reading by the narrators- by far one of my top 3 Audible books so far! Amazing!!!! Life doesn't turn out the way we expect . . . and there's plenty of blame to go around . . . bitterness is building a little nest in Andrea's heart, even as she moves back to Larkspur Cove with her fourteen-year-old son, Dustin . . . into her parents' lake house . . . Andrea's dismayed to find that the apron strings, thought long cut, are very much tied, and her parents have strong opinions on everything she does . . . or doesn't do . . . crushing her already broken spirit, after her divorce and move back home . . . as Andrea struggles to find her place, succeed in her new job as a counselor among the needy, hurt and rejected citizens, Dustin, missing his father and the closeness of their once intact family, begins to lie and slowly rebel under his mother's authority . . . caught with some other under-age boys with beer out on a boat in a dangerous area of the lake, Andrea is forced to deal with Dustin's behavior . . . and with game warden, Mart McCullen . . . the story is wonderfully southern, with a host of characters, gathering at the WaterBird Bait and Grocery . . . each with a unique personality, which I've grown to love . . . even Sheila, Pop Dorsey's hippie daughter who is forever trying to feed the customers tofu and substitute decaf for regular coffee . . . the discovery of little Birdie, living out in the boonies with Len tugged at my heart strings . . . and was a mystery that pulled Andrea and Mart together, as well . . . a great story, gently told of two adults, having been through tragedies and hardships separately, learning to heal, to stop blaming God, and to finally see the blessings before them . . . highly recommend . . . If you could sum up Larkspur Cove in three words, what would they be? What was one of the most memorable moments of Larkspur Cove? I chose this story because I loved "Before we were yours." This book was nice, but not as gripping. Would you consider the audio edition of Larkspur Cove to be better than the print version? The romance is so sweet and real. Lisa Wingate writes with senual godly feelings and doen't use lustful images and words. I so appreciate that. Made me feel lovely inspired. Wish there were more books, this well written, real feelings with scenes that you can read infront of anyone. I loved this book amd can't wait to continue the story....I'm hoping the next books continue with these characters. I loved every moment of this book. I loved the vivid details, how I could feel like I was in the moment. I loved the characters and the whole storyline. I I also loved the mention of CASA in the book as I am a former director for our local program and I still work with children in foster care doing a faith-based summer camp. Good stuff!